Round 2 of the South Island Downhill Cup was held over Friday and Saturday of this weekend with after what looked like a long period of no rain within the Otago region, the weather took a turn on the Friday practice day with rain falling for the whole day and showers for race day. With approx 120 riders competing over the weekend, the results were proving the track was technical with the drying but still slippery conditions in order for race day. Great to see Brook Macdonald taking top honours in the Pro Elite class with Matt Scoles 2nd, Zeroed’s Kieran Bennet 3rd, another podium spot with a 4th for Wyn Masters and a fine 5th for Sam Baker! The local McCombie brothers taking top spots for both Under 19 and Under 17 class’s with Leo Sandler taking his 2nd, 2nd overall podium for the u19 class for the series so far. The surprize of the day was to see AKDH’s Senior Women: Adrienne Hooper beating Pro Elites: Sarah Atkins time by around 8secs. 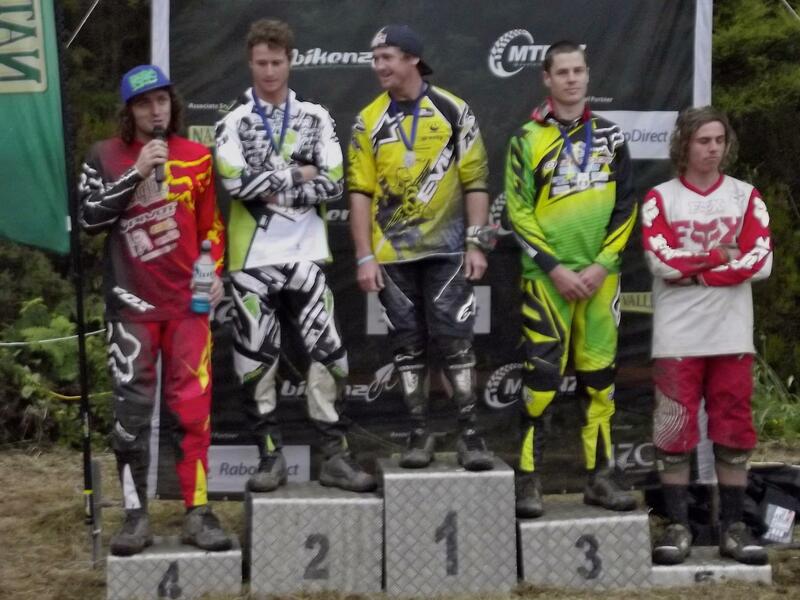 The 3rd round of the Downhill contingency of the NZ Downhill Cup continues next Friday and Saturday Jan 20/21st at Mt. Hutt. This entry was posted on Saturday, January 14th, 2012 at 7:47 pm and is filed under Uncategorized. You can follow any responses to this entry through the RSS 2.0 feed. Both comments and pings are currently closed.